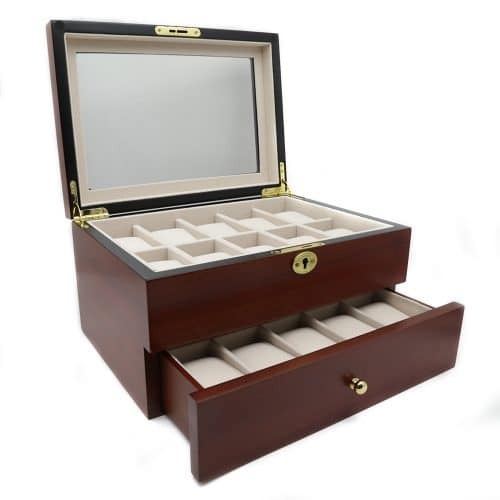 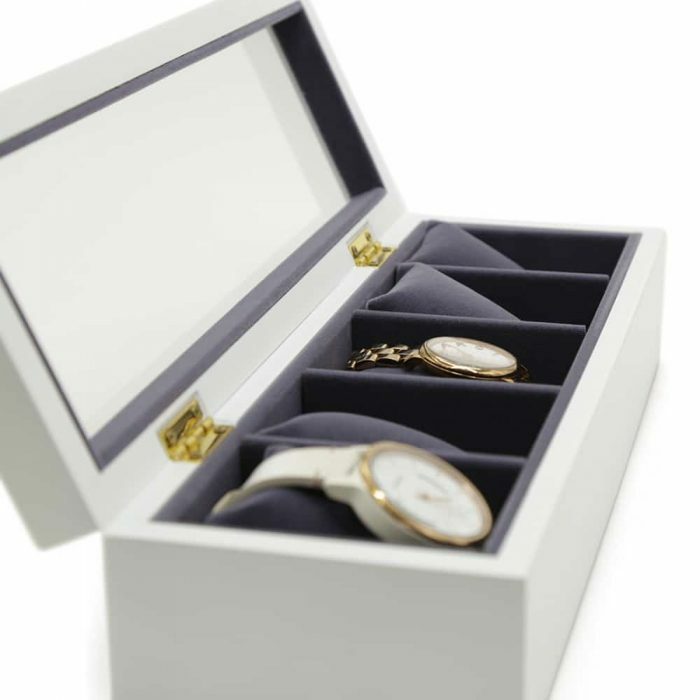 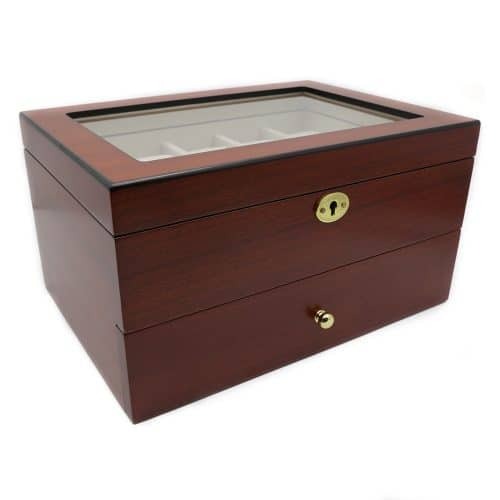 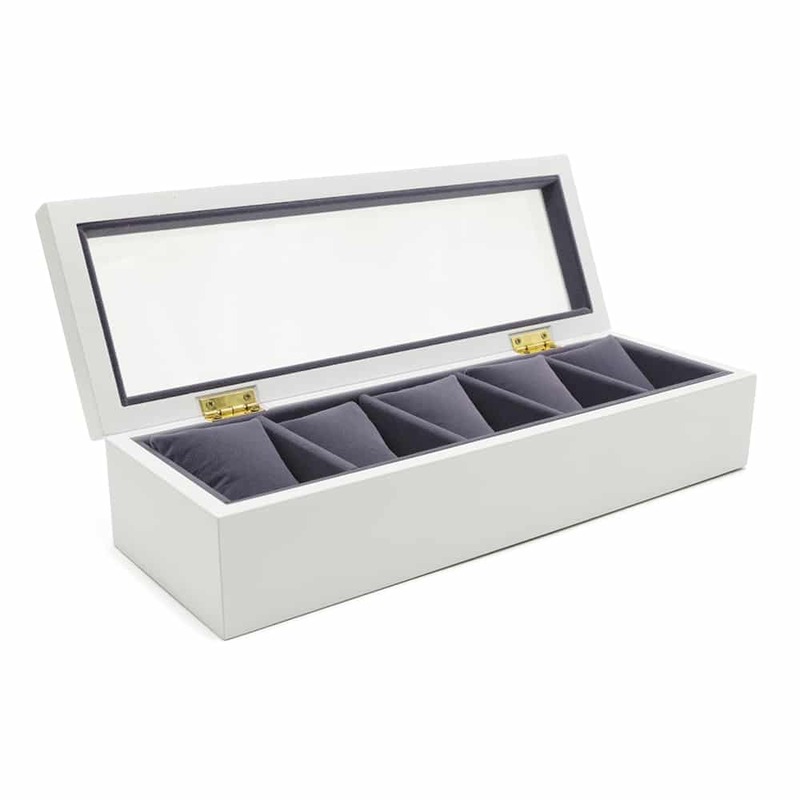 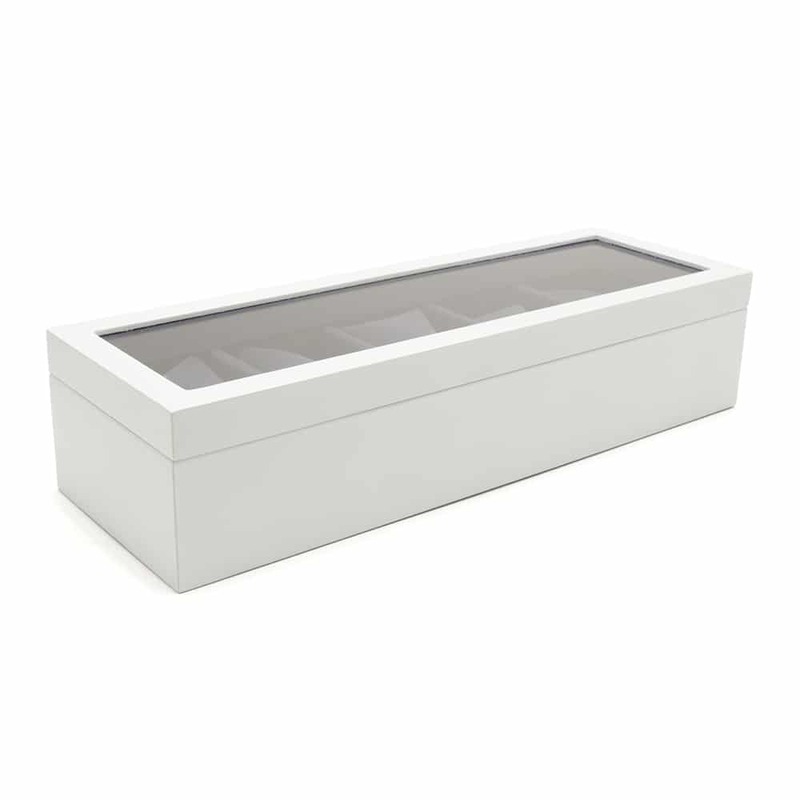 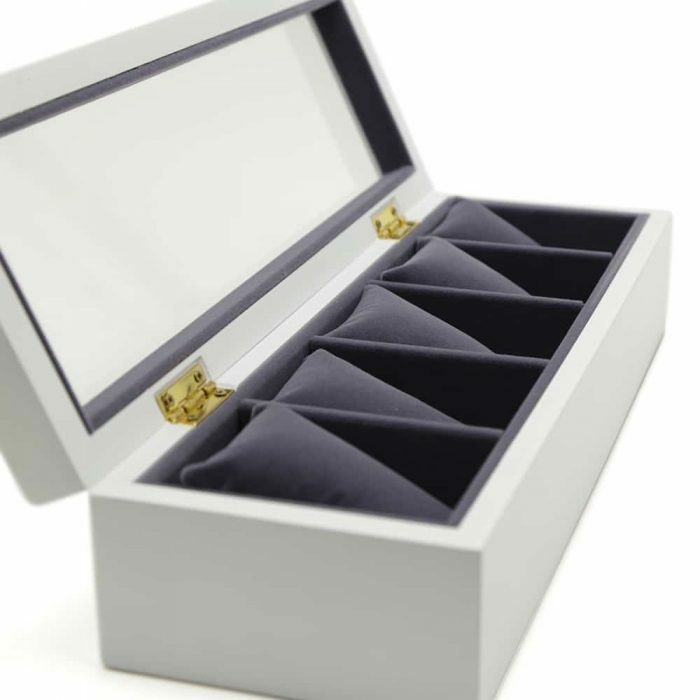 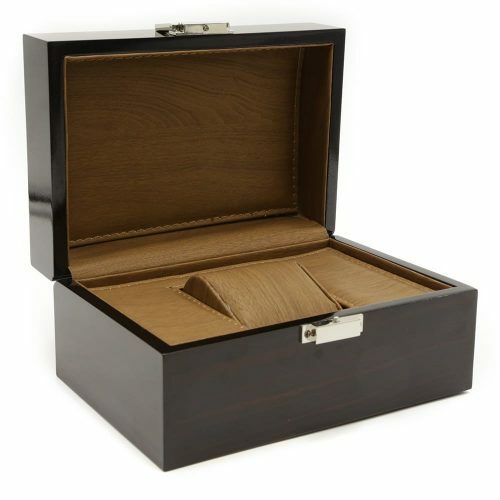 Add a touch of elegance to the room with this White Royal 5 Slot Watch Box. 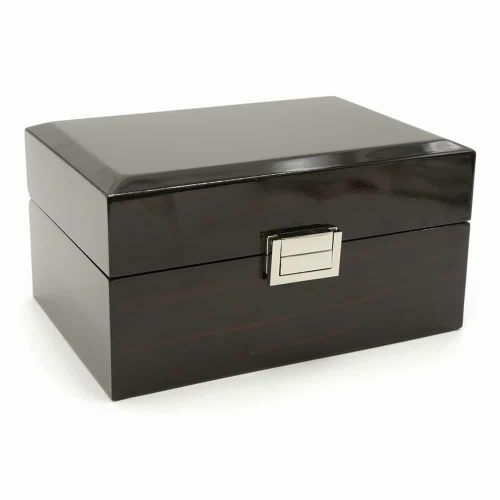 This wooden storage box has a very simple, modern design with a transparent lid for easy viewing. 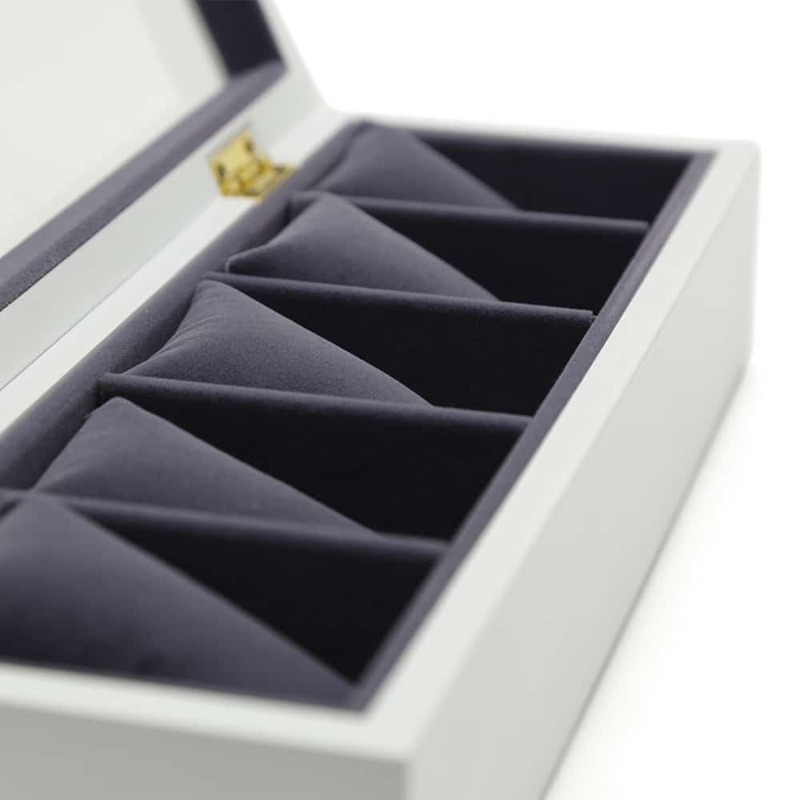 Inside the box, it is fitted with a high-quality velvet material in purple. 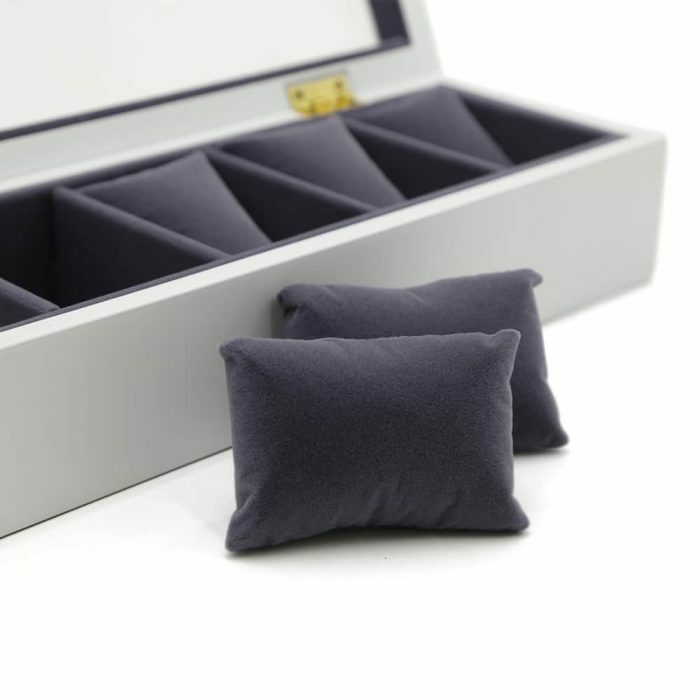 To cushion your watches and valuables, it also comes with removable extra soft cushions to keep them scratch-free.